Westpac is making some changes to its Altitude Rewards credit card points scheme in November with new points transfer rates applying to many of its partner frequent flyer programs, affecting cards like Altitude Platinum and Altitude Black. However, that doesn’t necessarily mean you’ll be earning fewer points on your everyday purchases – here’s what’s changing, and how you can keep those all-important credit card points flowing in beyond November. Westpac Altitude Rewards changes: what’s happening? There’ll also be a small change to the minimum number of Altitude points that can be converted to Velocity, switching from a minimum transfer of 2 Altitude points – currently worth one Velocity point – to 6 Altitude points, which will equal two Velocity points. Westpac Altitude Rewards: what’s not changing? Critically, the conversion rate from Altitude Rewards to Virgin Australia Velocity is not changing for those who enrol in Velocity Auto-Redemption: that is, where the Altitude points you earn from your credit card are automatically sent to Velocity every month. Even after November 9, those conversions will continue to run at a 2:1 rate, as opposed to the new 3:1 rate taking effect on manual transfers, so if you’re already using Velocity Auto-Redemption or you know you’ll want Velocity points and decide to switch this on, your points will continue to be transferred at the same rate as today. The conversion rate on points transfers from Altitude into Air New Zealand Airpoints Dollars also remains unchanged at 180 Altitude points = 1 AirNZ Airpoints Dollar. For Altitude Platinum and Altitude Black cardholders earning Qantas Points through the separate Altitude Qantas loyalty option, these earning rates equally remain untouched. It should go without saying, but if you’re sitting on a pile of Westpac Altitude points and were ultimately planning to transfer them to KrisFlyer, Asia Miles or Enrich, making those transfers before November 9 gets that conversion locked in at today’s more favourable rates. Having said that, some of these partner frequent flyer programs adopt their own points expiry rules, so while your points won’t disappear when sitting in your Altitude account, transferring them to a frequent flyer program can start the clock ticking on their lifetime, so have a plan as to how you’ll spend them before their time is up. For Velocity members, Auto-Redemption provides the best bet going forward, but keep in mind that when you do switch this on, your entire existing balance of Altitude points will be converted to Velocity, along with any new points you earn. Accordingly, if you wanted to spread your points around by converting some of them across to a different airline frequent flyer program, you’ll need to do this before enabling Velocity Auto-Redemption. Thanks for the heads up...no surprise that I hear it from here before I get any comms from Westpac. I was waiting for the usual 15% transfer bonus for velocity that comes every May & Nov. Hopefully they will start it up just before the change as I expect to get my bonus before then. 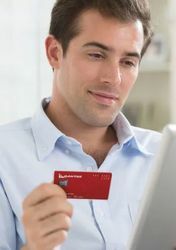 Comment on "Keeping your Westpac Altitude Rewards credit card points flowing in"